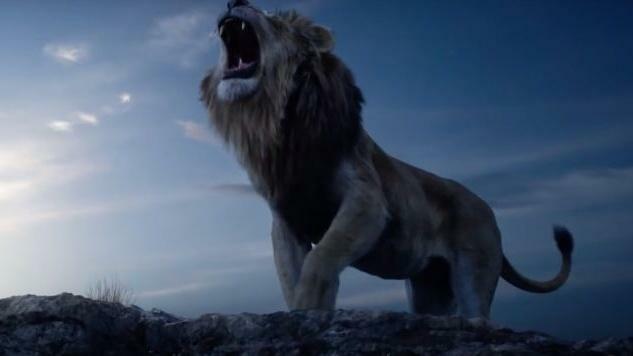 Walt Disney Studios has just released a brand new trailer for the CG live action version of their 1994 classic animated film The Lion King. The new trailer shows that Disney is getting everything right and is a near twin to the original film’s scenes and trailer. James Earl Jones who voiced Mufasa in the original film, narrates the new trailer. We also get to hear Chiwetel Ejiofor’s performance as Scar and Donald Glover as Simba. The Lion King roars back into theaters July 19. The Lion King tells the story of Simba (Swahili for lion), a young lion who is to succeed his father, Mufasa, as King of the Pride Lands; however, after Simba’s paternal uncle Scar murders Mufasa, Simba is manipulated into thinking he was responsible and flees into exile. Upon maturation living with two wastrels, Simba is given some valuable perspective from his childhood friend, Nala, and his shaman, Rafiki, before returning to challenge Scar to end his tyranny and take his place in the Circle of Life as the rightful King. The story is inspired by William Shakespeare’s Hamlet.